Youths are facing some knotty problems these days and high school students will gather in Gresham on March 20 to discuss two of those: mental health and sexual harassment. "It's going to be an educational experience to be able to attend this summit," said organizer Ricki Ruiz, from the city of Gresham. 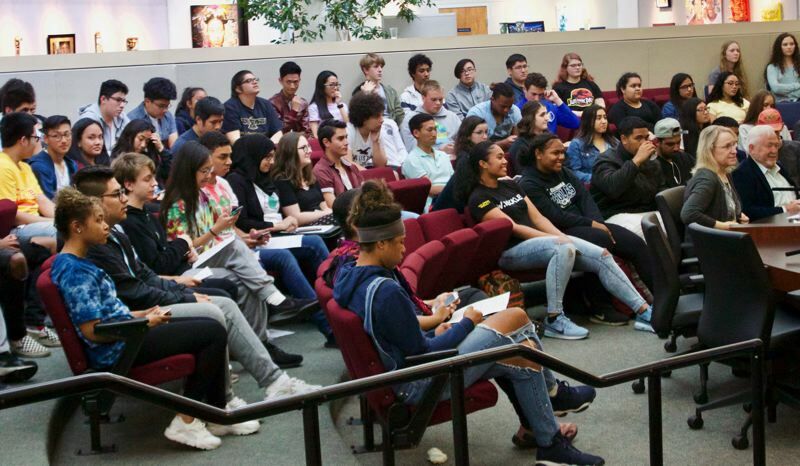 High school students from any local school are invited to register for the free "Step Up, Speak Up" summit scheduled for noon to 4 p.m. Wednesday, March 20. Registrations are due by March 13. This is a Gresham Youth Advisory Council student-led youth summit and will feature student speakers. Gresham Mayor Shane Bemis, the superintendents of the local school districts and other government officials will discuss these issues. The students will break up into small groups for table sessions and group activities. After the conference "we'll work with the schools on these issues and continue the conversation," Ruiz said. The summit will be held at Gresham City Hall's first floor conference center, 1333 N.W. Eastman Parkway. Food will be provided at the free summit. To register, visit: bit.ly/2EGmNvc. All student are welcome, "but be sure you get excused from school," Ruiz said.